Will Smith has opened up about his marriage to Jada Pinkett Smith in an upcoming episode of her show Red Table Talk. In a trailer for the next instalment of the programme, Will can be seen sitting around the table with his wife Jada, their 17-year-old daughter Willow, and Jada’s mum Adrienne Banfield-Jones. The series is described as ‘three generations of women’ who ‘open their home for a series of candid conversations with family and friends’ and sees the ladies, helmed by Jada, welcome guests to the show to open up and discuss certain topics. From mental health to religion, drugs and family, no subject is off limits. Of course, a Smith family gathering wouldn’t be complete without Will, and after 10 episodes, it was high time he got involved. In a sneak peek for the highly anticipated episode, Will can be seen opening up about his marriage to Jada. Speaking to his daughter Willow, the actor admitted that ‘there was a period where mommy woke up and cried for 45 days straight, I started keeping a diary’, to which Jada responded: ‘you missed some days’. It was every morning. I think that’s the worst I’ve ever felt in our marriage. I was failing miserably. The couple have been married for 21 years. However, in the clip, the pair admit that they ‘don’t even call ourselves married anymore’, instead seeing each other as ‘life partners’. 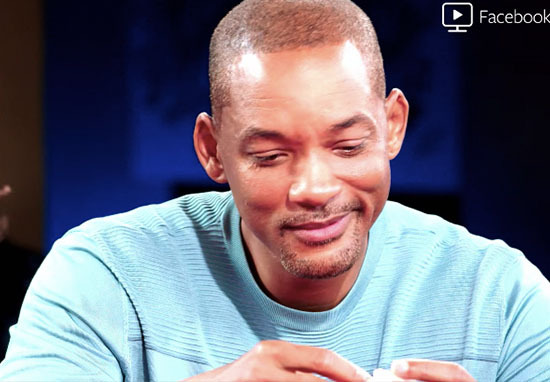 In just one week Will Smith joins us at the Red Table and opens up about one of the lowest points in his marriage. Check it out to see how it made him and @Jada Pinkett Smith even stronger. In another teaser for the new series of Red Table Talk, the duo can be seen getting ready for the show, with Will saying ‘You’re not breaking me today, Jada’, to which she coolly replies ‘I’ve broken you enough’. The trailer also shows Jada saying ‘I’ve dated a lot of people’, before Will jokingly storms off, saying ‘Alright I’ve had enough of the red table’. Other guests include Leah Remini, with whom Jada clashed on social media over, of course, Scientology, and Willow looking rather perplexed by the whole situation. Fi🙌nal🙌ly🙌! Red Table Talk is back! Join us at the Table where we open up and get real with some unbelievable guests. New episodes coming at you October 22nd, only on Facebook Watch! Another significant relationship in Will Smith’s life is with his onscreen cousin and real life bro, Alfonso Ribeiro, who played Carlton in The Fresh Prince of Bel-Air. It might be 22 years since the show finished, but recently the pair have proved their friendship is as strong as ever. Though primarily a comedy, The Fresh Prince Of Bel Air had some truly emotional scenes, like the time Will got shot and Carlton bought a gun to try and protect himself, the time Will’s dad left again, or the time Carlton couldn’t deal with Uncle Phil’s health scare. Throughout the programme’s run, the characters were never less than family, their on-screen relationships were obviously just as real off-screen (apart from, perhaps, Aunt Viv who suddenly looked a bit different after season three…), which is what made them so easy to watch. So, it’s great to see Will and Alfonso still so close more than two decades since the show finished, and the Smith family sharing all for us to see.